Hidalgo, now 59, is a superb singer and multi-instrumentalist and helped catapult Los Lobos from the East Los Angeles bar scene to worldwide recognition for their unique sound mixing Latin soul grooves, roots rock, Mexican folk, blues and R&B. 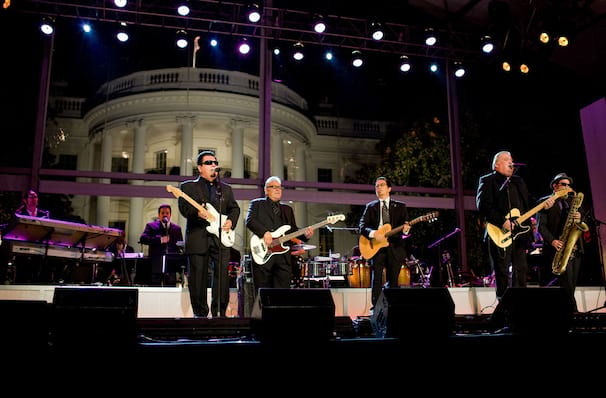 Fusing good old fashioned rock and roll with brown-eyed soul, cumbia, boleros and norteno, Tex-Mex outfit Los Lobos (which translates to The Wolves) first gained commercial success and an international following when their cover of Ritchie Valens' La Bamba hit the top of the charts around the world in 1987. Experimenting with multiple genres over the decades, their wide-ranging sound has flourished in a variety of styles, from acoustic ballads to experimental rock. Whilst they may be reinvent themselves constantly, their definitive fusion of latin and American music remains at the creative core. Formed in an East Los Angeles high school in 1973, the band began exploring the Mexican folk music of their upbringing and worked their way up the ranks, playing weddings, parties and Mexican restaurants around the city. When they discovered the free-spirited energy of LA's punk scene, they developed a fervent following before signing and beginning a stellar professional career that would span over forty years. Don't miss the living legends in their natural habitat as they hit the road on tour! Seen Los Lobos? Loved it? Hated it? Sound good to you? 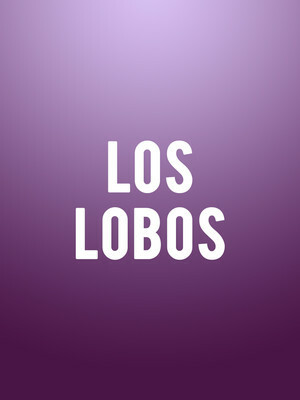 Share this page on social media and let your friends know about Los Lobos at Clyde Theatre. Please note: The term Clyde Theatre and/or Los Lobos as well as all associated graphics, logos, and/or other trademarks, tradenames or copyrights are the property of the Clyde Theatre and/or Los Lobos and are used herein for factual descriptive purposes only. We are in no way associated with or authorized by the Clyde Theatre and/or Los Lobos and neither that entity nor any of its affiliates have licensed or endorsed us to sell tickets, goods and or services in conjunction with their events.